On Sunday 27th May North East food waste organisation REfUSE are planning to feed 1000 people on food that would have otherwise been wasted. The food will be cooked up by volunteers, with the menu being decided the night before after the day’s food collections have finished. This event is the third and last in the series of Feeding 1000 events that REfUSE have run in Durham and Chester Le Street in partnership with Durham County Council and Sainsbury’s Waste Less Save More campaign. You’ll also be able to catch the Council’s waste department who’ll be giving out food-saving packs and talking to the crowds about recycling! “We see around 1 tonne of food coming through our warehouse each month- all still perfectly good to eat, Pride is a great opportunity to show people some of the waste that is happening in our county and raise awareness of what you can do to combat it. It’s been a great event series, engaging people from all over the County and feeding bellies not bins. We’re so thankful to all the volunteers who’ve got involved. 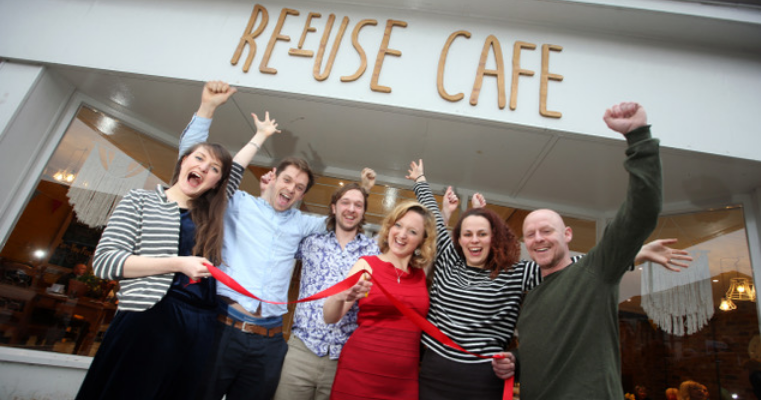 The event comes 5 weeks after REfUSE has opened a Pay As You Feel cafe in Chester Le Street, only serving food that would otherwise go to waste. The food will be served from 1-6pm on Durham Sands after the Pride parade. You’ll also get the chance to watch some of the amazing line-up of acts, visit other stalls and join with Durham in celebrating its LGBTQI+ community.